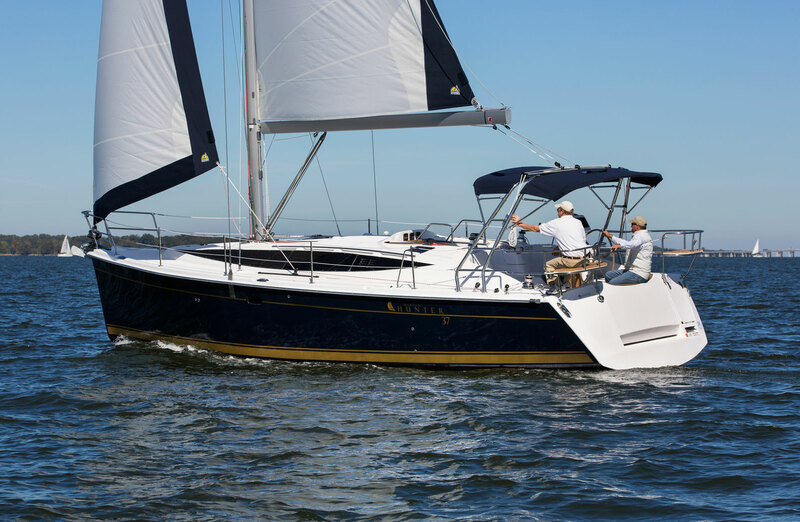 The New Marlow-Hunter 37 is a stunning cruiser that is larger than any of her competitors and by far the largest volume sailboat on the market under 40 feet . The updated window line gives this yacht a sleek feel, but the improvements don’t end there. The Glenn Henderson hull design still reflects the bow hollow and stern reflex but the design has been improved upon with a hard hull chine featuring a wider beam carried further aft which allows for more space below as well as stability and performance on the water.